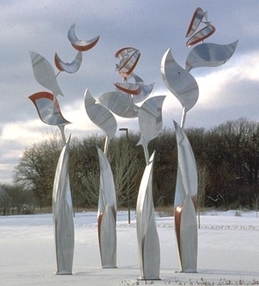 My sculptures are kinetic, and natural forces (wind, water, magnets) set them in motion. The forms are derived from nature and the dance echoes the movement we see everywhere around us. The elements are linked together, each influencing the others, so that the choreography they perform is endlessly varied.